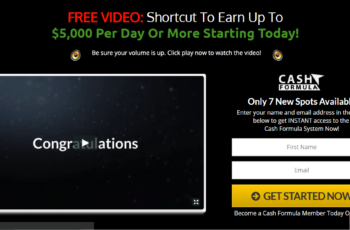 Online income opportunities are on the ever expanding rise and show no signs of slowing down. They are allowed to be released as long they don’t guarantee you any earnings, even if it’s in small writing right at the bottom of the sales page. I just found The Ecom Formula and wanted to know if it’s a good business venture or just another scam site. By looking at the sales page it does look like it’s hyped up with fancy words and big numbers and doesn’t look promising at all. And I know a lot of people are falling for these scams so I wanted to debunk The Ecom Formula and explain why it’s wrong on so many levels and what you should do instead. Neil Atkinson is the brains behind The Ecom Formula. Although this is more than likely a pen name considering the domain name is set to private! Now I’m not saying this is a total deal breaker, but do know that this is a common tactic among many scam sites. The name “Neil Atkinson” is only mentioned in the sales video and nothing can be found on the internet regarding this man, other than from people talking about The Ecom Formula. It is really new actually. The domain name has only been registered at the start of 2018 and all reviews have popped up mid-2018. My guess is that it’s been hyped up by hundreds of affiliates before launch to start it off with a bang. 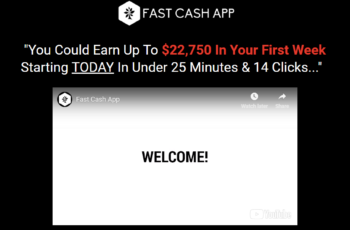 The owner has probably paid out millions in commissions already considering there are so many full time affiliate marketers who ONLY promote scams, which is and always has been a big problem. 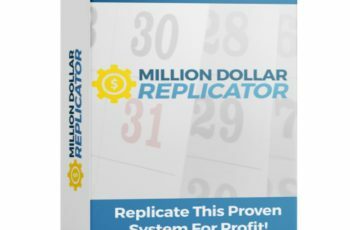 So Neil Atkinson claims he only spends 1-2 hours per day to sustain his income of 1-2 million dollars per year by using this system. He says he has one of the biggest secrets to making money with Ecommerce websites as fast as possible (what online “guru” doesn’t say that these days) and wants to share his secrets. How fast? Well, from zero to 5 figures in “no time” is exactly how they put it. 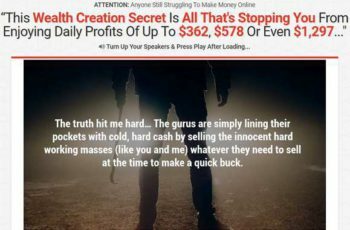 He claims this system can make you up to $40,000 per month, but is this all true or are we just looking at one big fat scam system? The Ecom Formula is a system designed to teach you how to make money by means of Ecommerce. 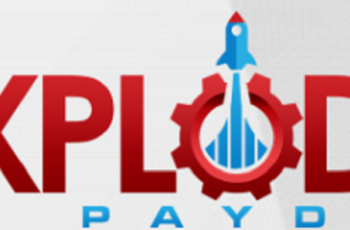 They teach you how to create your product, package it, brand it, process payments, build a website, market your product, promote it, ship it, deliver it and much more. They teach you everything you need to create a profitable online business so you’re not left with questions or having to look elsewhere, because everything you need to know is inside this system. The Ecom Formula also gives you the option of drop shipping so you don’t have to create your own product. Because lets face it, constantly creating products to sell online is not passive income, but doing drop shipping means the products are already available, you’re just the middle man. But what exactly are you getting for your money? Not much to be honest with you. There are 4 PDF files (53 total pages) and 9 training videos. From the get go this doesn’t sound like a high quality training platform at all, considering there isn’t much hours worth of content. One thing I do not like is that they state on the sales page that it is all step-by-step when it’s not. You are only told where to go and sign up for the tools and services and that’s it. The members area is a complete joke because all the menus and links don’t even point to anything, it’s just there to make it look professional and nothing more. All you have access to are the training videos and PDF files and that’s it. Of course there are also upsells as soon as you purchase which is a ploy from the owner to squeeze as much money out of you as possible. Like I said from the beginning, there is an affiliate program which can be promoted to get commissions when you make a sale. This is likely what happened at the very start to make the owner millions of dollars upon launch, plus his affiliates would’ve made a killing too. The product is on Clickbank.com and offers a 60% commission rate and an average $/sale of $93. This means a lot of people that buy The Ecom Formula are purchasing the upsells. Are People Really Making Money? People have been making money with drop shipping and an Ecommerce website for years, as it’s 100% possible to make a boatload of money using this method. However, the bigger question is, are people making money using The Ecom Formula? More than likely the answer is a big fat no. The training is very basic and not a true step-by-step system, so newbies are going to find it difficult finding their way around. They’ll give up before they even get started. However, that’s not to say that it isn’t possible to make money with an Ecommerce website or that this system won’t work, because if you implement the training I do believe money can be made. Just don’t think it’ll be as easy as they claim it to be, because that’s their tactic just to make a quick sale. 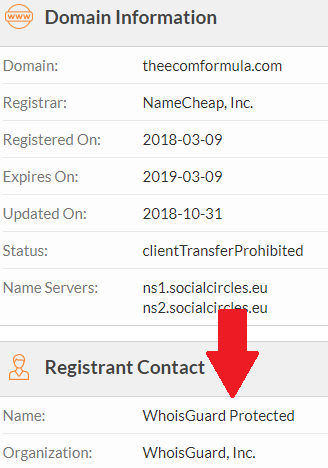 So yes, people are making money with The Ecom Formula but ONLY a very minuscule amount of people that join it, and definitely not the 40k per month claimed on the sales page! Well aside from the fact that the owner stays mysterious, there are a bunch of other big red flags you need to know. You will notice that the owner uses hype words just to make you excited and think it’s easy to make the $40,000 per month that he is making. This is an easy red flag that you should look out for before purchasing ANY online business opportunity. Whenever they claim big numbers you need to put your guard up asap and start questioning the system. The testimonials are 100% fake as they are paid actors who can be hired on Fiverr for a mere $5 for a 30 second video. 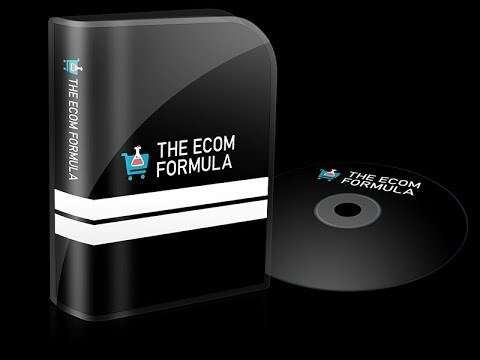 The price of The Ecom Formula is $37 and gives you access to the PDF files and training videos, plus a 60-day money back guarantee. That’s everything you get after your purchase because the members area isn’t even a members area, it just looks like it to make you think you’re getting a lot for your money. Of course you are hit with a lot of upsells too. The official website is theecomformula.com for those that are still interested. Keep in mind that I’m not affiliated with The Ecom Formula whatsoever so you won’t find any affiliate links on this page. Is The Ecom Formula a Scam? This is a flat out scam because even though they offer you training, you will not make the amount of money they claim on the sales page. Everything is hyped up to the max with outrageous claims totally unreachable especially for the common newbie. I wanted to give it the benefit of the doubt since there’s actually something in return for your money, however, there’s really nothing special about what they’re offering. The training isn’t even in-depth or high quality and everything can be found for free on the internet anyway. It is a rip off and a waste of time and money my friend. Yes, The Ecom Formula is a scam! The Ecom Formula try claiming affiliate marketing is dead, well that is far from the truth. It must be dead like their members area with dead links everywhere that point to absolutely nothing. Affiliate marketing is bigger than it’s ever been and it’s growing every year. So before you believe this baloney that “Neil Atkinson” is trying to claim, do know that affiliate marketing is very much alive and well and is already in the mainstream. Why is affiliate marketing better than Ecommerce? Well there is no customer service involved, no shipping and handling, no product handling and certainly no need to create a product. The product is already there, you just need to grab your affiliate link and promote the product. When someone clicks and buys, you earn your commission. That’s really all there is to affiliate marketing. 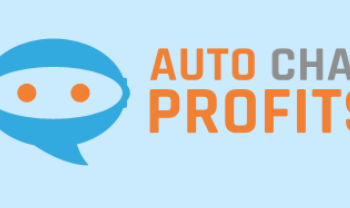 You get paid for sending traffic and making sales. 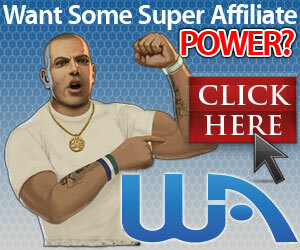 The best affiliate training platform on the internet is Wealthy Affiliate. Not only do they have a free trial but you have all the support you’ll ever need, which is available 24/7 from the community. There is no hype with false promises or guarantees, just a proven system for you to make money online. Kindly leave all your thoughts and opinions on The Ecom Formula in the comments below.